I was born a normal healthy daughter of migrant parents, and I grew up in a milk bar in country Australia. A shy child, I was very emotionally sensitive growing up, so I got into computers because it was easier for me to deal with the logic and predictability in technology than the variability of people. My work let me live in my head and avoid my emotions! I was often nervous, uncertain, confused and feeling out of control when surrounded by too many people. And as a result lost track of what my body needed and buried my feelings of being the odd one out, with food. At age 32 I was overweight, and just diagnosed with fibroids, and facing surgery. That still wasn’t enough to get me to pay attention to my body. I then had a doctor prescribe antidepressants, even though I didn’t feel I needed them, I eventually agreed to take them. They had the opposite effect than the one expected by the doctor, instead of helping me to lose weight, I became obese while on them. I still wasn’t listening to my body, just covering the problem with pills. In hindsight I wasn’t depressed so much as needing guidance in my interactions with others. So here I was, mid 30’s, obese, still not listening to my body and wary of doctors too quick to prescribe. Then came the daily back pain which massage and chiropractics would only temporarily relieve. Desperate for some relief, I sceptically tried an energy healer and became so intrigued with what I was experiencing that it took me a couple of sessions to realise that the pain was gone! I wanted to learn how this worked, and started studying. Life brings changes, and so with those changes I felt I was on a roller coaster ride through a great range of emotions including joy, excitement, fear, grief, depression, uncertainty, nervousness, lack of centeredness, loneliness. These life changes have shown me how damaging stress could be, when I wasn’t ignoring it all and burying it with food. So I started a journey through a variety of healing modalities that taught me over a decade and a half to appreciate that physical well being is linked to mental and emotional well being, that listening to what is happening at each level is important and treating at all levels is a must. In the course of that journey I found a passion for working with essential oils. I love that they work at the vibrational level, that using them as perfumes via the links aroma has to the emotional and memory centres of the brain can impact the entire body, and that combining them with herbal medicine gives me the tools to deal with chronic conditions where nourishment is required and also acute infectious conditions in an age where we need to be more cautious in our use of antibiotics. Life still brings me challenges, and thank goodness for them, else I feel I would be bored. I can now appreciate that a little stress helps to motivate and energise me in the various projects I undertake in my life. But it no longer feels like an out of control roller coaster ride. I have finally learnt to listen to my body, and treat it much better than I used to, but still use the help of other practitioners and their expertise as I face the challenges that go with an ageing body, even though I am young at heart. 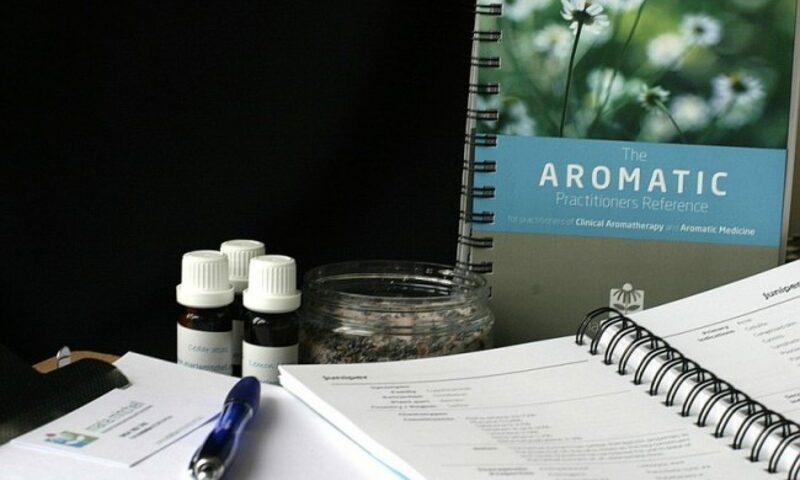 The past 10 years have been spent mostly teaching aromatherapy, and I love to share what I have learnt with others. More recently, in my practice I continue to teach my clients one to one, how to listen to their bodies, and I like to give choices in the tools used to support health, and where needed, to work with a team of health practitioners to keep you healthy, happy and loving the ride that is life.